jackie sumell is a multidisciplinary artist, activist, college professor, and prison abolitionist. Originally from Brooklyn, New York, jackie became invested in change upon attending a lecture in San Francisco where she met the Angola 3 member, Robert King. His tragic story opened her eyes to the true and harsh damages the Prison Industrial Complex causes on humans. Now searching for a way to get involved, she asked King how she could help, and he suggested she begin by writing letters to Albert Woodfox and Herman Wallace who were still wrongfully imprisoned at the time. These three innocently convicted felons acted as jackie’s real entrance and view of the mass incarceration system. Mary and jackie. Photo by Matthew LeBlanc. Over their 11 years of correspondence, sumell and Wallace would form a strong bond as together they discussed and imagined Wallace’s dream home in New Orleans. sumell was inspired by Wallace and his positivity moved her to begin The House that Herman Built. In this project, jackie hopes to turn Wallace’s imagination into reality by building the house of his dreams. The house is intended to serve as an open space to learn about solitary confinement and to encourage the exchange of ideas. Wallace “was released October 1st 2015, and then, unfortunately, passed away October 4th 2015” says jackie. He died a free man, which made his death equally as devastating as it was miraculous, she goes on to say. jackie affirms that she knows it would have been harder on her if he passed away behind bars, but her determination to leave the prison system better than it was before was still immovable. 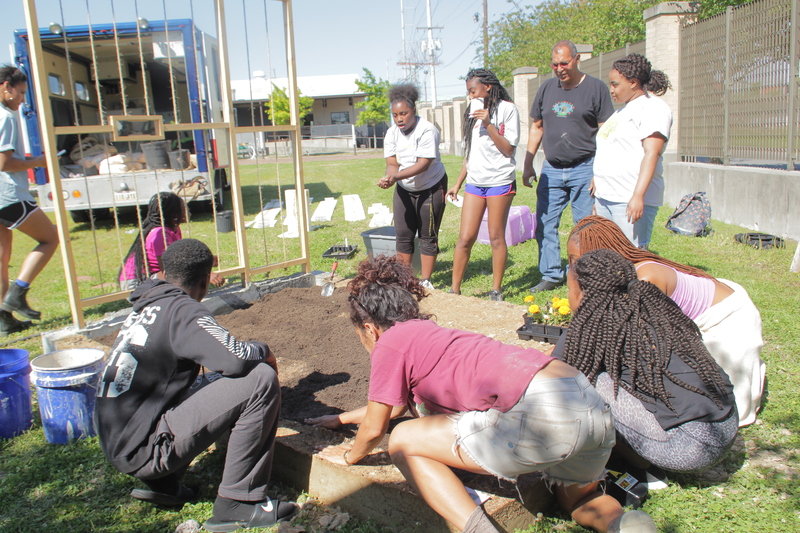 As jackie’s work at Herman’s House continues and Solitary Gardens continues to flourish, she still looks for more ways to work to better the criminal justice system. 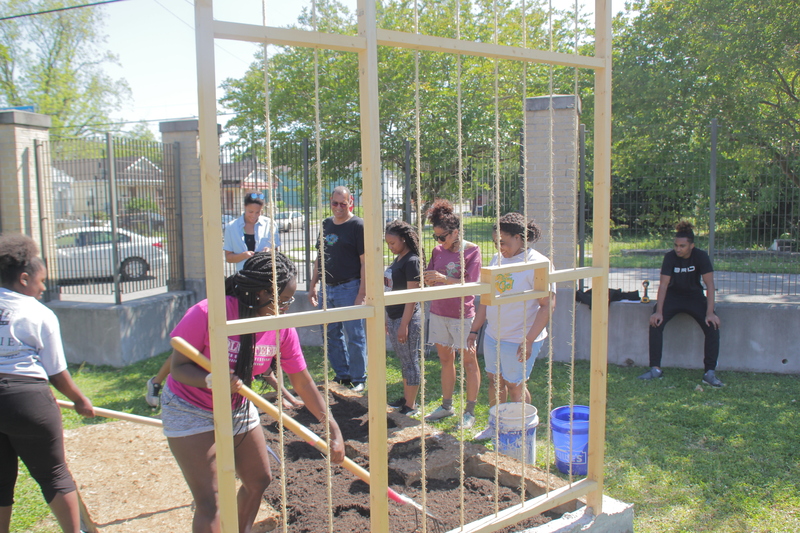 While Solitary Gardens creates garden beds to educate and illustrate the size of a solitary confinement cell, jackie hopes to grow awareness and ultimately end this common practice in U.S. prisons. 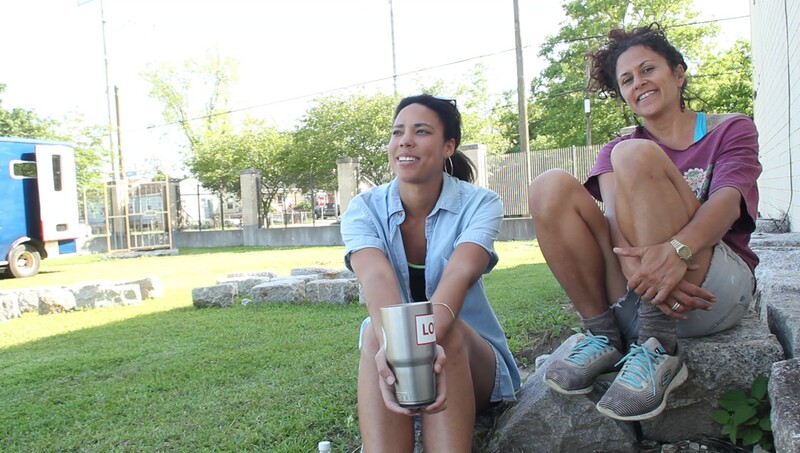 One of jackie’s next projects is a garden at Tulane University for incarcerated mothers; this project intends to honor these women while spreading their stories to others. jackie is an incredible woman of many talents. Her belief is prison abolition drives her to spread the conversation about injustice in our justice system. “My belief is that we need to find alternatives to prisons,” says sumell. “I see prison abolitionist as a spiritual practice as well, because it involves us to invest energy, time and belief into ideas we don’t see.” She advocates for replacing the current prison system with other forms of punishment, such as, community service and restorative justice programs. The prison abolition movement has grown slowly as more and more of the public has become aware of the serious issues associated with prisons and the criminal justice system. However, little progress has been made, as the institutions of prisons have seemingly become deeply entrenched in American life, even expanding prison ownership to a private ownership and management. Prison abolitionists like jackie, find particular inequities in the criminal justice system for minorities and they view the prison system as somewhat of an extension of the slavery that used to persist in the United States. Sumell notes how solitary confinement is used more often for “others,” referring to minorities, those who identify with the LGBTQ community, and political prisoners. Solitary confinement as her central issue stems from Herman Wallace, Robert King, and Albert Woodfox’s wrongful imprisonment, but she goes on to add that solitary confinement isn’t a decision made in sentencing or by legal action but simply a huge punishment added on by the warden of the prison onto his or her prisoners. She essentially says 23 hours a day of solitary confinement is imposed in order to manage the prisoners’ who Wardens fear will cause disruption in a ‘regular’ prison community. If you would like to hear more about jackie’s work here’s a previous story Also, her newest solitary garden can be found at the Art Center at Xavier University, and you can view interview clips with jackie here and here. Solitary Gardens. Photo by Matthew LeBlanc.